Reopened by HRH Prince of Wales on 10 June with charity gala performance on 10 June. 2003-04 Auditorium and Front of House spaces extensively refurbished by the Arts Team at RHWL under the management of Delfont Mackintosh Theatres Limited. 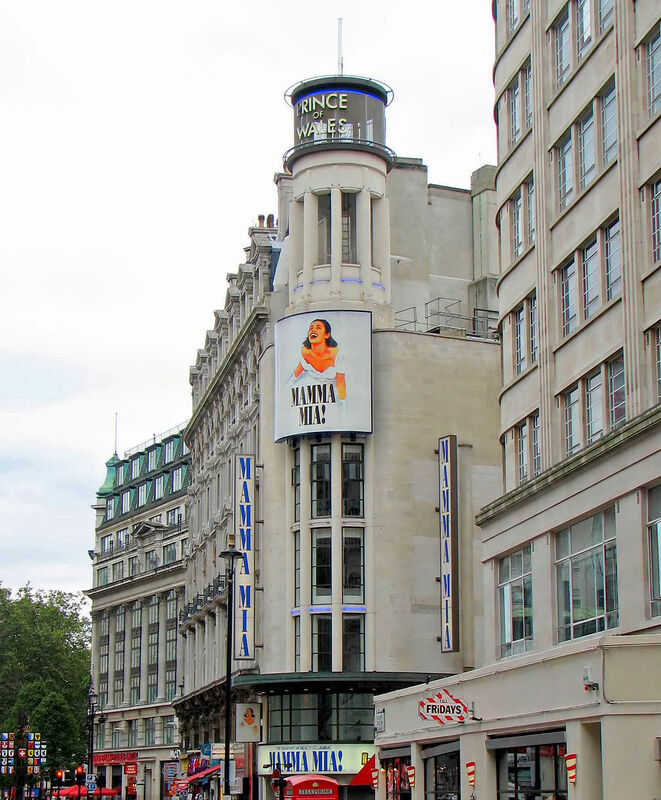 The Witches of Eastwick (23 March 2001 – 27 October 2001) transferred from the Theatre Royal Drury Lane. Reworked for a smaller venue, and starring Clarke Peters. Copacabana (Previews from June 18, opened June 23 1994. Closed 9 September 1995) starring Gary Wilmot, then Darren Day. Directed by Roger Redfern. The Threepenny Opera (1972), directed by Tony Richardson, featuring Vanessa Redgrave, Hermione Baddeley, Diana Quick, Miriam Gargoyles, Barbara Windsor. Various revues and variety acts (1950s), including Paris to Piccadilly, Pardon My French, Paris by Night and Plaisirs de Paris. Stars such as Norman Wisdom, Peter Sellars, Bob Hope, Terry Thomas, Dickie Henderson, Hughie Green, Morecambe & Wise and Terry Scott featured in the shows. 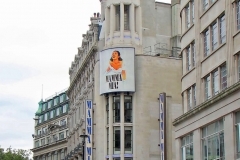 Various French-style revues – the venue became known as London’s Folies Bergere. Dorothy (1884) featuring Marie Tempest – the first hit production at the original Prince’s Theatre, designed by architect C W Phipps. Electrics: Strand GM on SL perch. Dimmers – 97 (48 x 1kW, 49 x 2kW, 8 x 5kW). Circuits – FOH 24; Flies 61; Stage dips 12. Socket type – 15A BESA (stage dips 25A). Total capacity available – 400A on 3 phases. Follow spots – 4 Stelmars in projection box.